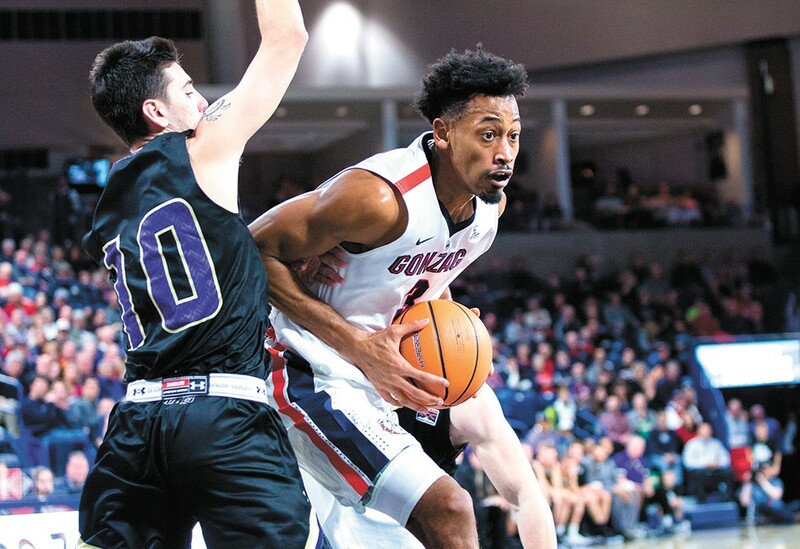 Senior Johnathan Williams is one returning player Gonzaga will rely on. Pundits, experts and talking heads around college basketball would, seemingly every autumn, say the same thing. They'd talk about how that year's iteration of Gonzaga basketball might just be the best Spokane had ever seen. It's college basketball season once again, and excitement is as high as ever around Gonzaga, but you're not hearing any talk like that this year. And that's no knock on this year's Zags. Just further confirmation that last year's squad was indeed the best. A season ago, the Zags rumbled and routed their way through their first 29 games without a loss. In the end, they finished with just two defeats in 39 games. It was the longest season in Gonzaga history, and the most successful. The Zags made their first Final Four, and then led for the majority of the NCAA national title game until finally relenting with just 100 seconds to play. Nobody expects this year to be better than last year, if only because last year was two losses from perfect, less than two minutes from the best it could have possibly been. Yet here we are, ready to watch the Zags set down that path once again. 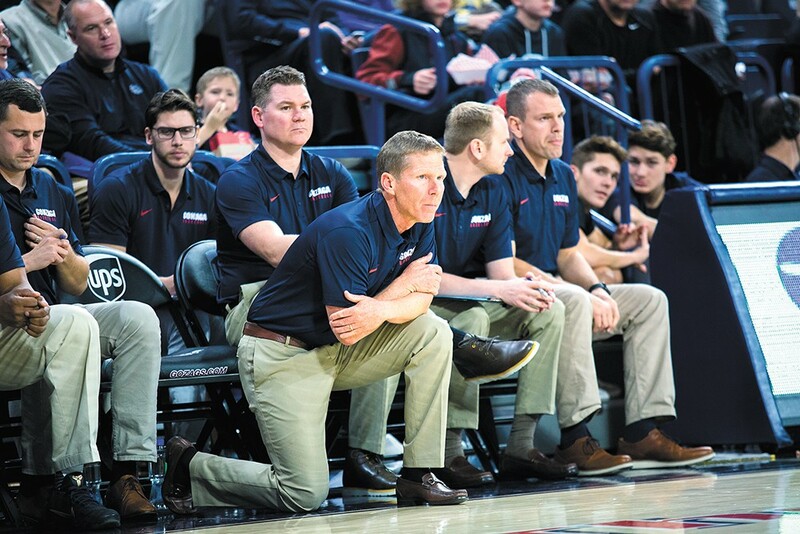 "Taking it to the national championship game was a level we hadn't been to," says head coach Mark Few, "but by and large it's pretty much the same. I just think the beat goes on." Calm wisdom from the defending AP Coach of the Year. Last year was a high-water mark for the program, but it wasn't like Gonzaga basketball turned a corner. The program has been on a long, banking curve in this direction for some time now. Sure, Few has a lot to replace. Zach Collins and Nigel Williams-Goss both left school early to hear their names called in the NBA Draft. Przemek Karnowski, the nation's best center last season, and Jordan Mathews also saw their time on campus come to a close. But of those four names, only Karnowski had played for Gonzaga prior to last season. This isn't the first time Few has had to reload a roster. Like last season, Few has some very good pieces in place to build around. Senior forward Johnathan Williams averaged 10.2 points per game last season and is probably the most dominant athlete in the West Coast Conference, but his game is far more than brute strength. Williams led the WCC in effective field goal percentage last season — a metric that weighs three-point shooting due to the added value of a three-point basket — and posted the highest offensive rating of any player in the title game. Point guard Josh Perkins, a redshirt junior brought to campus in 2014 as the heir apparent to Kevin Pangos, will finally get his chance to lead the offense. The two-year starter, as experienced as any junior in the country, averaged 8.1 points last season. Sophomore Killian Tillie looked great against the College of Idaho, hitting all 11 of his shots. And longtime sixth man/shooting guard Silas Melson will likely step into a starting role this year. During conference play last season, Melson played starter's minutes, 23.9 per game. He posted the second highest offensive rating in the WCC, according to stat wizard Ken Pomeroy, while averaging 7.2 points per game. Gonzaga coach Mark Few is reloading his roster once again. Beyond that trio, though, Gonzaga's season hinges on new faces and underclassmen. "They're far less experienced," Few says. "Not nearly as far on their basketball journey as some of those guys were last year." That's not to say they're any less talented. A year ago, it was Collins who burst onto the scene as a freshman. This time around, freshman Zach Norvell Jr., who redshirted last season, looks ready to follow suit. Norvell, despite being a year-plus removed from playing in a meaningful, competitive game, was named to the Julius Erving Award preseason watch list. He's one of 21 players in the running for best small forward in the nation. "He can really pass it and play in pick-and-roll," Few says. "Right now he's a tad bit streaky, but when he's on he's really, really on." That's the level Gonzaga is at these days. New faces earn national praise before even playing a collegiate game. Last year wasn't the catalyst that brought about this change, though; years of elite national success did. You can see the difference in the players, as well as the fans. Gonzaga's raucous student section, the Kennel Club, has established itself as one of the nation's best. When Final Four tickets went on sale in March, the Kennel Club sold out its allotment in just two minutes, according to club Vice President Collin Calhoon. The current crop of undergraduates at Gonzaga have never seen a year without at least two victories in the NCAA Tournament. They expect success. "From the vibes I get on campus, the students are really excited for the season to start," Calhoon says. "They're going to expect another run like that." For longtime fans like Molly Nave, an undergrad at Gonzaga in the '80s, perspective may temper expectations, but not excitement. "Even though we played the longest season we've ever played," Nave says, "this has felt like the longest offseason ever." Thankfully, the season is upon us, and it gets started with a bang. Three straight home games open the campaign, and they should be easy on the eyes as the Zags host Texas Southern, Howard and Utah State. Then, over Thanksgiving, they travel to Portland for the immense challenge of the Phil Knight Invitational and a first-round matchup with Ohio State. "That's as big-time a tournament as there's ever been," Few says. He's right. The 16-team tournament features five teams that made the Sweet Sixteen last season, including defending national champion North Carolina and Final Four team Oregon, plus title contenders in Duke and Michigan State. The field is absolutely loaded. December's nonconference opponents include Creighton at home and Villanova, Washington and San Diego State on the road. Late in the month, it's on to West Coast Conference play; for the first time in recent memory, Gonzaga will not be the favorite. Saint Mary's is the overwhelming choice to take the top spot, according to the conference's preseason poll. The Gaels bring back nearly everyone from a team that spent every week of last season ranked in the AP Top 25. In the short term, it seems, people value the Gaels' experience. But Gonzaga, as always, is looking long-term. A new athletic and academic facility, the Volkar Center, under construction next to the McCarthey Athletic Center, aka the Kennel, is the latest physical change on a campus transformed by basketball. "It's really, really cool," Few says. "It just makes the university look big-time. When you drive up on it, you know you're at a place that is willing to step up and compete nationally and on the highest level. Part of competing at that level is investing in infrastructure and buildings."